The Flesh Walls World is an area in .flow that can be accessed through an entrance in the Red Body. The walls and floor in this world are made of dark red flesh. Both the viscera and whistle effects can be found here. This world houses numerous black-haired girls, as well as bleeding eye and mouth decorations. One area is full of Red demons. The Dying Girls event can be found in a separate area in this world. This could be Sabitsuki's own body, and the black haired girls are her disease, or possibly immune system. 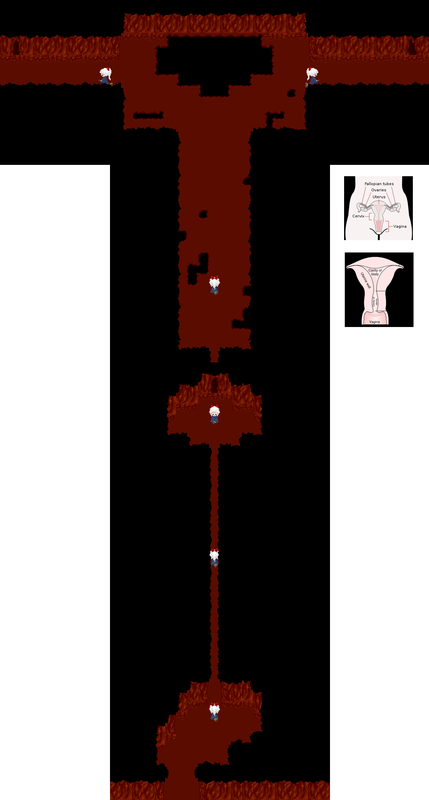 One of the areas is shaped like a uterus, leading to fan speculation that Sabitsuki has some kind of uterine disease. The doors also resemble vaginal openings (best viewed here). Dotflow Wiki is a FANDOM Games Community.